Click on the link above to hear Silver Laughter perform this song which was recorded at the Ranch and Company in Port Byron in 1978. It has been edited and converted to MP3 to enhance and speed up the download. Mick sings lead and plays piano while Ken plays bass. Jon is on guitar while Paul plays drums. Ken and Jon supply the backing vocals. It sounds like we had some fun changing the lyrics a little bit in one of the verses. 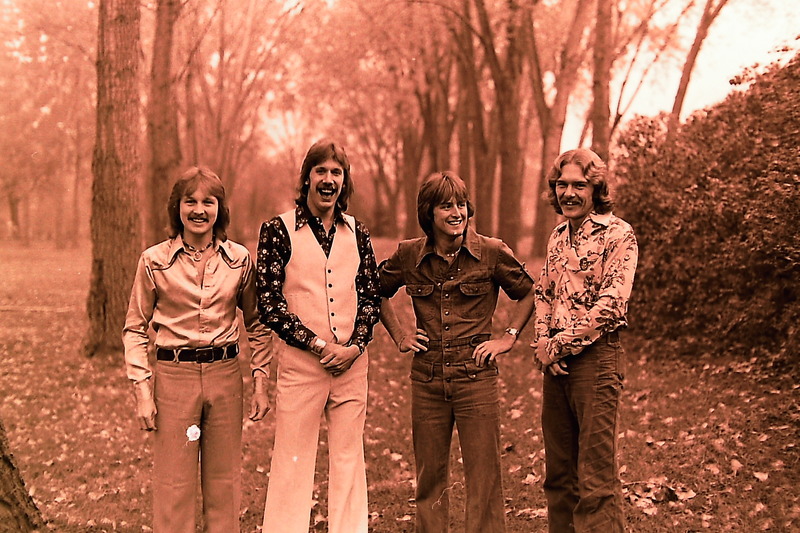 The attached photo is an outtake from the 1976 session taken in Worthington, MN. Art Stenstrom is behind the camera. Note: If you are wondering why I am re-posting so many music clips, it is because 1) the originals were in WAV format and hard for people to download and play, 2) there are a lot of new visitors to our site every day who haven’t heard the old clips, and 3) the website gets more hits when music gets posted.